The Brexit decision has created a huge amount of question marks for many industries and each is vying with each other for the ear of the UK Government. Ben Hargreaves states the case that, for the public’s health, the healthcare and life science industries should be at the front of the queue. A recent report by the Business, Energy and Industrial Strategy Committee called for the UK government to make sure that it made sure that regulatory alignment was as close as possible to the EU post-Brexit. It highlighted the amount of trade in pharmaceuticals that takes places between the UK and the EU, pointing out that it makes for a mutually beneficial arrangement. However, one of the major problems when it comes to ensuring that the flow of medicines still continues uninterrupted across borders is how high this is on the UK government’s priority list. It shouldn’t be underestimated how much of an impact Brexit, and its final terms, could and will have on the life sciences and healthcare industries across the UK. Unfortunately, it seems that this was never really considered by those campaigning on either side of Brexit referundum vote – except for the now-widely derided claim by Leave that £350 million a week could be saved by leaving the EU and would then be funnelled into the NHS. The outcome of the UK referendum on EU membership was perhaps best exemplified by Nigel Farage, the central figure for the Leave campaign, all but admitting defeat. Speaking after public voting had closed, he conceded, “It looks like Remain will edge it”. It caused a huge amount of excitement, not least on the market, with the British pound soaring, only for its wings to be clipped when the results came back and revealed that the Leave campaign had, instead, managed to win by a whisker. The decision caught many people by surprise, except for a savvy few that made an inordinate amount of money betting against the pound after Farage’s premature concession of defeat. The full implications of the decision only began to unravel after the decision, and one area that had a lot to consider was the life sciences industry. It’s only now that the dangers Brexit poses to public health have been revealed as multifarious, with no simple fix, that concerns are being aired with conviction. It’s going to take a lot of work to ensure that the number of complications that Brexit throws up is not detrimental to the UK’s position as a global leader in the life sciences and doesn’t impact on public health; in some cases, it may already be too late, if recruitment and retention figures for EU-based nurses are anything to go by. One damaging result of the referendum is tangible by its soon-to-be absence: the EMA headquarters. There was a time when David Davis, chief Brexit negotiator for the UK Government, claimed that London would be able to hold onto both the EMA and the European Banking Authority (EBA), which soon evaporated into hot air as soon as it became clear that the agencies weren’t on the negotiating table. The European Commission moved swiftly to hold a vote to appoint the new homes of the agencies, with the EMA set to move to Amsterdam and the EBA set for Paris. The decision on the EMA alone will see the UK lose nearly 900 highly trained individuals and lose out on the 36,000 annual visitors that convene at the agency for meetings. The agency was also one of the crown jewels of the UK life sciences industry – a stamp of approval which signified that the UK, barring the US, was one of the leaders in research and expertise in the sector. Losing the EMA HQ is a blow, but losing the ability to follow its judgement on new medicines could be far, far more dramatic for the UK. 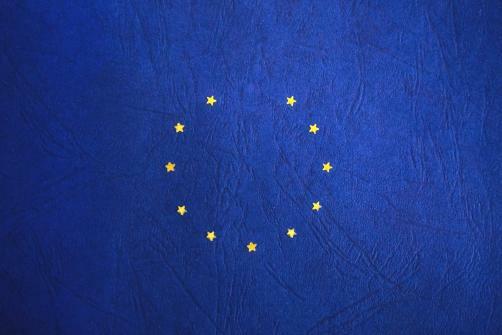 Depending on what deal is negotiated on the UK’s exit from EU membership, it could lay the country outside of the jurisdiction of the EMA and its ability to assess new drug applications, meaning that the UK’s MHRA would have to take on the heavy-lifting, currently undertaken jointly by 28 nations, alone. This would obviously require far more resources to be pumped into the agency and even if it were able to process drug applications to the same speed as the EMA, its position in the queue may well suffer. The risks of which are pointed out in an interview with [Pharmafocus] by Sarah Collen, Senior Policy Manager at the NHS European Office on behalf of the Brexit Health Alliance: “There could be additional delays for UK patients in accessing new medicines, as the experience of Switzerland, which is not a member of the EMA, shows. Despite having a number of bilateral trade agreements with the EU, it is estimated that Switzerland gains access to new medicines on average 157 days later than the EU. As evidenced by Collen, pharmaceutical market dynamics favour countries or blocs with larger populations; it means there is greater room for profit for the drugmaker trying to sell its products and, concurrently, it means that the country or bloc has greater negotiating power over price, as buying in bulk usually results in lower prices. This leaves the UK open to two worrying prospects: leaving it at the back of the queue when it comes to pharma companies seeking approval to sell treatments, and putting the UK in a weaker negotiating position when those products are approved. The Australian and Canadian examples provided by Collen are comparable, but the population of these countries are significantly lower than the UK. In all likelihood, if the UK ends up with its own approval system independent of the EMA then it will fall behind the US, the EU and Japan. This will likely place the UK government under greater pressure when it comes to funding innovative medicines. Currently, NICE has a remit to ensure that the medicines that drugmakers are selling are deemed cost-effective for routine use of the NHS. This can lead to severe delays for the public in receiving medicines as NICE reviews data and hands down its judgement; the process has been known to take years when the institute has chosen to play hardball. However, there is inevitably a public backlash when negotiations are delaying the patients’ access to treatment and often leads to public campaigns to call for the process to be sped-up. The UK Government’s position may become even more difficult if the EU has already been able to approve treatments two to three months prior to the UK. It will be difficult position for patients to accept if treatments are available well in advance only across the water in mainland Europe, putting more pressure on the government to find ways to speed up access to drugs, despite it running NICE independently. Collen stressed that the damage to patient access will not only be one-way, with the EU also potentially set to suffer from the Brexit decision: “The general consensus is that unless this is addressed during Brexit negotiations, both UK and EU patients could be negatively impacted by Brexit. Decades of cooperation and harmonisation of standards on medicines and medical technologies have led to the growth in frictionless trade and supply of goods and products across the EU’s single market and customs union. Delving deeper into the potential supply chain issues, there are even more concerns to be drawn up regarding potential problems when it comes to the border between the UK and the EU. Driving home the importance of importing drugs into the country are the statistics that 90% of the UK’s total medicines are imported and 45% arrive from the EU, according to Martin Sawer of the Healthcare Distribution Association. Although fears of a ‘hard Brexit’ have softened somewhat since getting past the first round negotiations, the possibility is still present enough to cause serious worry for anyone involved in the supply chain between the UK and the EU. A no-deal situation would leave the UK in a perilous state in terms of importing medical goods and would likely skyrocket the cost of such goods, which would cause the NHS extreme difficulty in coping with the likely shortages that would ensue. Cooperation on clinical trials brought to a close? Another area where cooperation is key but could be severely damaged by Brexit is the area of clinical trials. Clinical trials are essential for determining the efficacy and safety of treatments, they require a sufficient knowledge and expertise to be carried out, and they also provide the benefit of allowing some patients to be treated with ground-breaking therapies before the therapies have received the necessary approval. Both of these factors could be at risk due to Brexit, as Collen explains: “A Royal Society report demonstrates that 80% of UK international research publications include co-authors from the EU. Clinical research, including clinical trials, has benefited from UK and EU researchers working together, especially for rare and paediatric diseases where the UK has led or participated in the largest number of pan-European clinical trials. As the number of patients with rarer conditions in each country is low, it is only possible to recruit enough patients for clinical trials by carrying out trials across countries. A situation where UK trials are no longer able to recruit European patients would lessen the benefits for patients across the whole of Europe, as well as risk damaging UK and European science. “There are currently 1,500 registered clinical trials including multiple EU member states with a UK lead sponsor. 50% of those trials will be ongoing as of March 2019. After March 2019, the continuing conduct of these trials could be jeopardised due to the lack of the same regulatory framework or to the lack of the UK’s access to the new EU infrastructure for the management and authorisation of clinical trials. It is not just pharma companies that are involved in this research. Cancer Research UK, for example, currently has 2,000 clinical trials on-going, and half of these are co-sponsored by a European nation; such innovation is at risk depending on what deal the UK negotiates on its exit. Within each of these trials are individuals who desire treatment, and if clinical trials become more difficult to hold on UK soil as a result of Brexit, this could see access blocked for many individuals. As mentioned by Collen, those particularly in need, such as people living with rare diseases, are particularly at risk from any breakdown in cross-border cooperation. This is due to the low numbers of individuals involved, meaning that people across the EU have to be sourced to treat the illnesses. With 50% of those affected by rare diseases being children, this is particularly troubling for ensuring that young patients with limited options are able to receive potential treatments as early as possible. As is made clear from the amount of cooperation occurring in clinical trials, research in general benefits from having a wider pool of knowledge to draw on. This is part of the reason that the European Commission has delivered €8.8 billion to the UK between the years 2007 and 2013 for the purposes of R&D, second only to the far more populous Germany. In addition, there was an almost constant flow of UK researchers receiving grants to work in mainland Europe and EU nationals also coming in. Grants offered by Marie Skłodowska-Curie Actions saw 3,545 researchers gain funding to work overseas whilst 8,120 EU nationals gained funding to work in the UK during this period. From biotech boom to bust? One sector that has so far thrived through EU funding and international expertise is the biotech industry. The UK’s hubs in Cambridge, Oxford and London have even been termed the “golden triangle” – not just because of the amount of successful research emerging, but also because of the amount of investment being pumped into the industry. In 2016, biotech firms managed to reap £1.13 billion in investment, putting the UK just behind established leaders Boston (£1.8 billion) and San Francisco (£1.5 billion). As well as funding, a recent research report emerging from the BioIndustry Association (BIA) revealed that the UK was ahead of European rivals in terms of the number of early-stage clinical candidates in biotech pipelines; the UK has 351 preclinical candidates moving through research, while the second closest European competitor, France, only has 191. Through the clinical trial stage, the UK also has more than any other nation at 128; the next closest is Germany with 78. A huge part of the reason for the biotech industry flourishing in the UK is because of the strong position the UK holds in terms of quality of research produced; Cambridge and Oxford universities attract global talent due to their prestige and the world-class level of research taking place. When this is twinned with London’s position as a hub of industry and, formerly, being the home of the EMA, it’s easy to see why the UK established itself as a strong location for Europe’s brightest biotechs. However, now that the EMA has left London and the UK will no longer receive additional R&D support from the EU, some of the attraction for biotechs to locate themselves in the country will be brought into question. When additional aforementioned factors are also taken into account, such as the uncertain regulatory climate post-Brexit, the future strength of the biotech industry looks uncertain. The direct impact of Brexit is already being felt at the ground level in the NHS. Recruitment of staff to the NHS has always been a significant challenge for the service and matters have become even more fraught since the referendum decision was announced. In September of 2017, it was revealed that 10,000 EU nationals had quit the NHS after the Brexit referendum result – significant because EU nationals make up 5.6% of the NHS workforce. Nursing numbers have also dropped catastrophically, with a 90% drop in EU nurses registering since the vote. A lack of trained doctors and nurses will only compound other issues across the life sciences and healthcare industries, which is why there needs to be a focus now, as called for by Collen and Bates, to prioritise the sector. Not doing so could prove to be catastrophic, as the beginning of the transition period looms. The report produced by the Business, Energy and Industrial Strategy Committee, entitled [The impact of Brexit on the pharmaceutical sector], is the clearest indication yet that these worries that the industry have been concerned about for a long time are now reaching the ears of those in Government. Rachel Reeves MP, Chair of the Business, Energy and Industrial Strategy Committee, said on the report’s findings: “The Government’s own analysis identifies pharmaceuticals as the sector for which UK/EU market access is the most important given the industry is reliant on friction-free border movement for their products. Any delays at the border faced by short-life pharmaceuticals for emergency treatments would have a hugely detrimental impact on patients. With so much riding on continued access to medicines, it seems unlikely that the Government will now be unable to ignore the increasing cries for clarity over the future of regulatory pathways post-Brexit. The major question will be whether the Government and the EU’s negotiators are prepared to put public health aside from other trade negotiations to provide the best outcome for all concerned, rather than risk medicines being used as a bargaining chip. If the latter option prevails, it would be a high-stakes game and one neither side can afford to lose.